The most reliable fence installation services for homeowners in Belleville, Illinois, and the surrounding communities are provided by the experts at Chesley Fence & Deck. 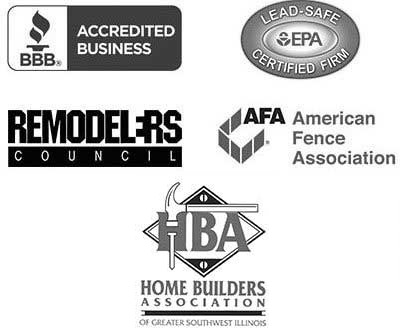 We are an A+ rated company with the Better business Bureau that has been serving customers throughout the Metro East region since 1967. No other company is as committed to providing only premium products and top-notch installation services as we are. Cedar fencing – This cost-effective product has a beautiful and natural appearance. And, because we only use true 2 x 4 rails of premium Western Red Cedar, it is far more durable than other wood fencing options. 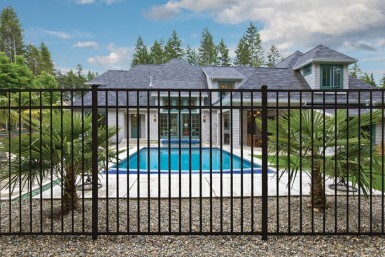 Ornamental aluminum fencing – Available in plentiful colors and styles, our aluminum fences undergo an 11-step powder-coating process to maintain long-lasting beauty. We also utilize screw-less panels for an attractive, seamless appearance. Vinyl Fencing – This product is made in America by the trusted manufacturer, CertainTeed and is far more durable and low maintenance than other vinyl options. It also comes in many different styles and colors. To ensure you get the most value out of your premium fencing, our team will perform your fence installation according to the strictest quality standards and in whatever configuration you desire. To learn more about the fence installation services that we provide for homeowners in Belleville, IL, contact Chesley Fence & Deck today. Why do you want Chesley Fence & Deck to construct your next fence? Professionally done and just an all-around great crew. Thanks so much!